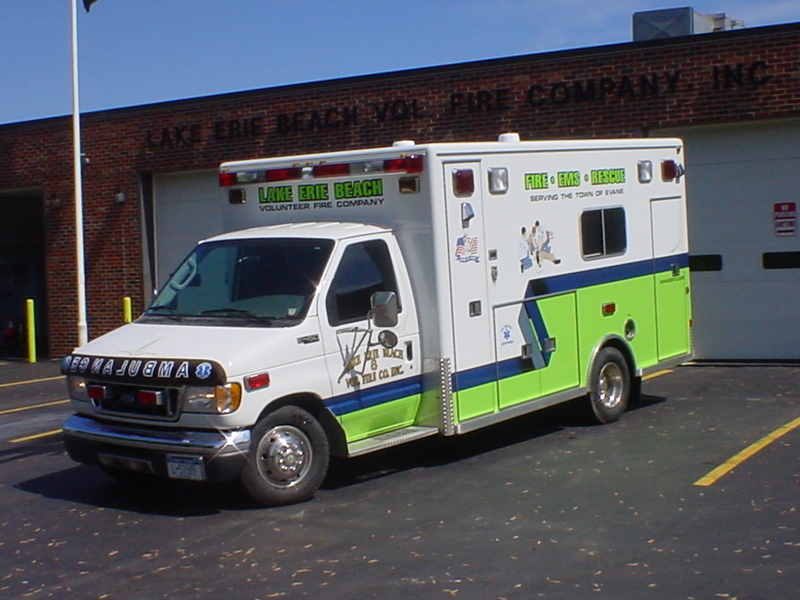 Lake Erie Beach #8 is a 2003 Lifeline Ambulance on a Ford E450 Chassis. It was delivered in January of 2004 by Kevin Johns of Cromwell Emergency Vehicles. This was a demonstrator model which has more than met our requirements. 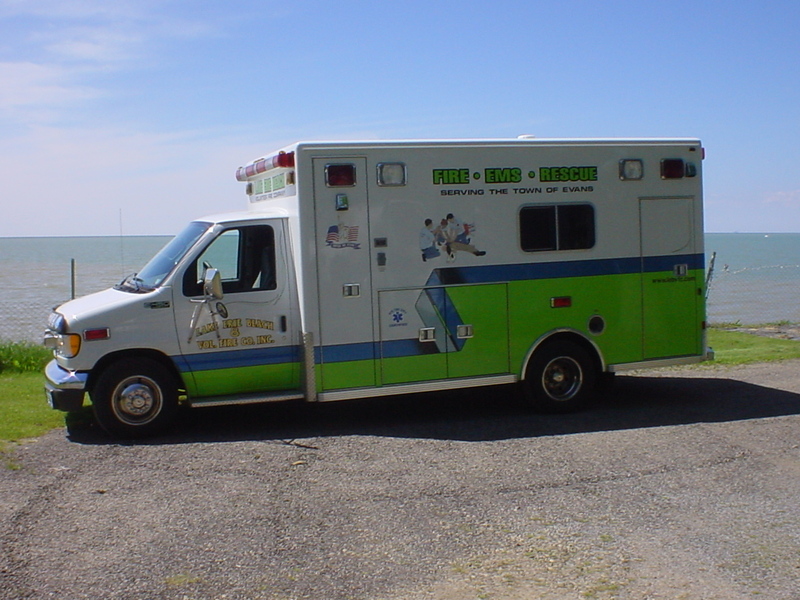 This ambulance replaced our 1994 Braun ambulance. 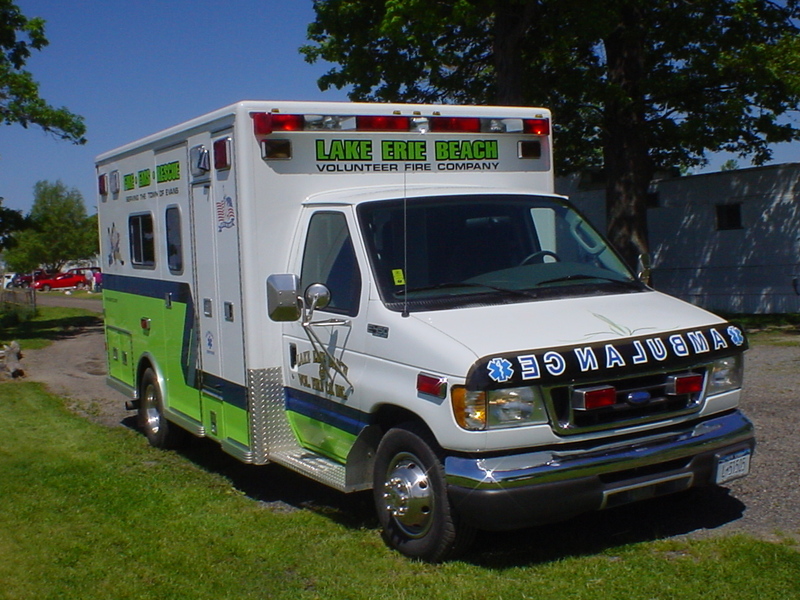 It is classified as a Type III ambulance("box"style with walk-thru access to cab.). It carries full equipment specified by the New York State Department of Health in Part 800 of the state health code. We utilize a Stryker brand tubular aluminum framed gurney with a load capacity up to 500lbs. We also utilize a Zoll brand Heart Monitor/Semi-automated Defibrillation unit. We meet all New York State requirements to be classified as an Advanced Life Support (ALS) unit. 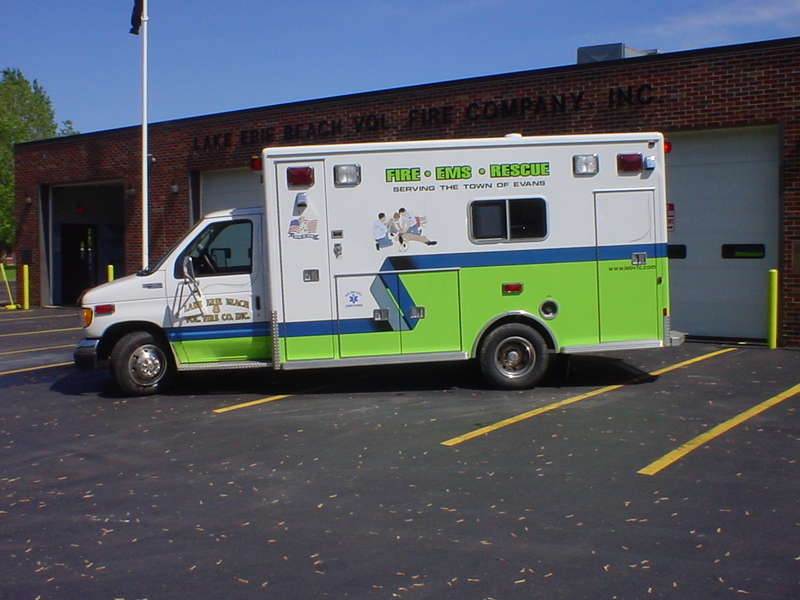 All members of the Lake Erie Beach VFC are proud of our ability to continue to meet the needs of our citizens.